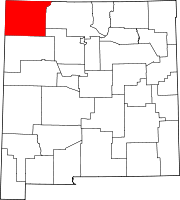 Farmington (Navajo: Tóta) is a city in San Juan County in the U.S. state of New Mexico. As of the 2013 population estimate from the United States Census Bureau the city had a total population of 45,426 people. Farmington (and surrounding San Juan County) makes up one of the four Metropolitan Statistical Areas (MSA's) in New Mexico. The U.S. Census Bureau's population estimate in 2011 for Farmington was about 45,256. Farmington is located at the junction of the San Juan River, the Animas River, and the La Plata River, and is located on the Colorado Plateau. Farmington is the largest city of San Juan County, one of the geographically largest counties in the United States covering 5,538 square miles (14,340 km2). The county seat and the other city in San Juan County is Aztec. 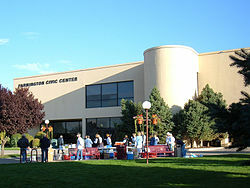 Farmington serves as the commercial hub for most of northwestern New Mexico and the Four Corners region of four states. Farmington lies at or near the junction of three important highways: U.S. Highway 550, U.S. Highway 64, and New Mexico Highway 371. The primary industries of San Juan County are the production of petroleum, natural gas, and coal. Major coal mines are the Navajo and San Juan mines, operated by BHP Billiton 15 to 19 miles (24 to 31 km) southwest of Farmington. The coal mined from the Navajo and San Juan mines is used entirely for fuel for the nearby Four Corners Generating Station and San Juan Power Plant to produce electric power. The area that is now Farmington was settled by Ancestral Pueblo people in the 7th Century. Ruins can be visited at nearby Salmon Ruins and at Aztec Ruins. When the Ancestral Puebloans left the area, the Navajos, Jicarilla Apaches, and Utes moved into the area. A key part of the region was known in Navajo as Tóta' which means "where three rivers meet". Although Spanish and American mineral prospecting happened in the area, there were few permanent settlements. In 1868, the Navajo Nation was created, taking up the western half of San Juan County. Six years later, the U.S. government offered territory in the rest of San Juan County to the Jicarilla Apache but they refused. As a result, the area was opened for settlement and a number of settlers moved into the region from Southern Colorado. The area was originally known as "Junction City" because of the access to the three rivers. In 1901 the town was incorporated and named Farmington with a population of 548. By September 19, 1905, the railroad was finished connecting Farmington to Durango, Colorado, expanding economic and settlement opportunities. It was unusual in that it was a standard gauge railroad that connected to the Denver & Rio Grande Western narrow gauge lines of southwestern Colorado. The railroad converted the line to narrow gauge in 1923. The line was abandoned in 1968 and the line was dismantled to Durango in 1969. In addition, in the 1920s there was significant investment in natural gas and oil in the area, although actual production remained low until the 1950s. With construction of a developed road connecting Farmington to U.S. Route 66 and Albuquerque in the 1940s and the construction of the San Juan Basin Natural Gas Pipeline in 1953 – a venture led by Tom Bolack – the population expanded significantly. It grew from 3,637 in 1950 to 35,000 in 1953 and the expansion continued after that. However, the significant connection to the energy industry made the economics of the town largely vulnerable to international market fluctuations during the 1970s energy crisis and resulted in some economic diversification. In 1967, as part of a joint U.S. Government-El Paso Electric operation, an underground nuclear detonation occurred 50 miles (80 km) east of Farmington and about 25 miles (40 km) south of Dulce, New Mexico in present-day Carson National Forest. This pilot project of Operation Plowshare, code-named Project Gasbuggy, was an attempt to fracture a large volume of underground bedrock to make more natural gas available for extraction by gas wells. The people of Farmington have been the subject of several civil rights investigations, including the 2005 report, The Farmington Report: Civil Rights for Native Americans 30 Years Later. On March 18, 1950, Farmington was the site of a mass UFO sighting in which over half the town's population was reported to have seen large saucers in the sky flying at rapid speeds. On June 7, 2006, a chemical spill at Halliburton's Farmington facility created a toxic cloud that forced more than 200 people to evacuate their homes. Farmington is located at 36°45′6″N 108°11′23″W﻿ / ﻿36.75167°N 108.18972°W﻿ / 36.75167; -108.18972 (36.751549, −108.189768). According to the U.S. Census Bureau, Farmington has a total area of 32.0 square miles (83 km2), of which 31.5 square miles (82 km2) is land and 0.5 square miles (1.3 km2) is water. 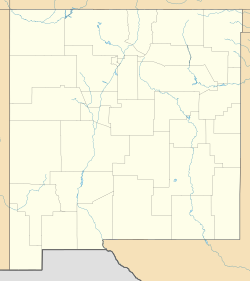 The Navajo Nation is west of Farmington, the Ute Mountain Indian Reservation is to the northwest, and the Southern Ute Indian Reservation is northeast of the city. Prehistoric Native American ruins are located nearby. Aztec Ruins National Monument and the Salmon Ruins are ancient dwellings located just to the northeast and the east of Farmington. Mesa Verde National Park lies about 40 miles (64 km) to the northwest, and Chaco Culture National Historical Park is about 50 miles (80 km) to the southeast. Farmington has a semi-arid climate. 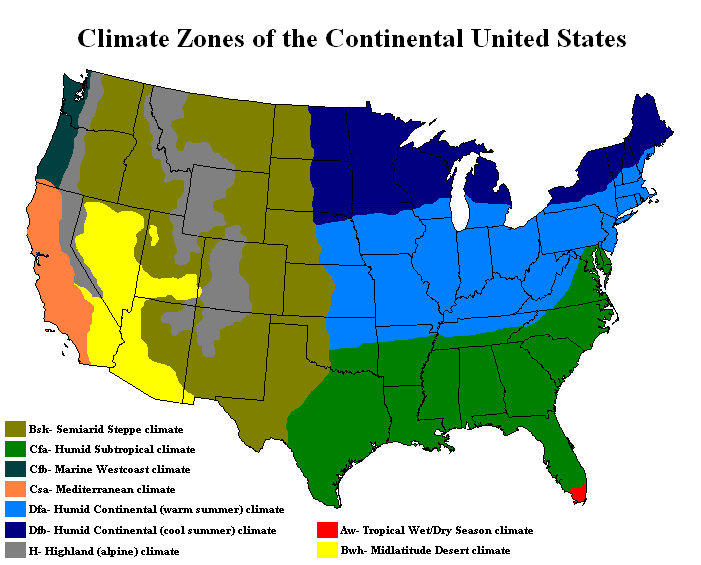 The city can experience hot summers and cold winters with low precipitation throughout the year. The average annual snowfall is 12.3 inches (0.31 m). As of the census of 2010, there were 45,895 people and 17,548 housing units in Farmington. The racial makeup of the city was 62.8% White (including 52.4% White non-Hispanic), 1.0% African American, 22.2% Native American, 0.6% Asian, 0.1% Pacific Islander, and 4.2% from two or more races. Hispanic or Latino of any race were 22.4% of the population. There were 16,466 households out of which 33.4% had children under the age of 18 living with them, 49% were married couples living together, 13.6% had a female householder with no husband present, and 30.1% were non-families. 21.7% of all households were made up of individuals and 8% had someone living alone who was 65 years of age or older. The average household size was 2.7 and the average family size was 3.19. A.F. Miller store and home, Farmington, circa 1885, the first store in Farmington. Farmington Public Library moved into a new building in 2003 and holds about 200,000 items in its collection. There was a branch library in Shiprock that is currently closed. Farmington is served by Four Corners Regional Airport. 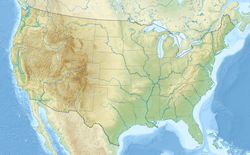 U.S. Highway 550, runs through nearby Bloomfield, NM and Aztec, NM, connects Farmington with central New Mexico, Interstate 25, Albuquerque, and (via I-25) the capital city of Santa Fe. U.S. Highway 491, formerly U.S. 666, runs north-south through Shiprock, well to the west of Farmington. New Mexico Highway 516 connects Farmington with U.S. Highway 550 in Aztec, NM. New Mexico Highway 371 extends due southward from Farmington all the way to Interstate 40. It travels almost exclusively through the Navajo Indian reservation, and passes through only a few small towns or villages (such as Crownpoint, NM and Thoreau, NM). It is also the primary means of accessing the Bisti/De-Na-Zin Wilderness area. There is no passenger railroad service anywhere in San Juan County. There is intercity bus service in Farmington, The Red Apple Transit. Farmington has been the home of the Connie Mack World Series baseball tournament, played in August every year at Ricketts Park (capacity 5,072), for 50 years. Connie Mack league regular season play includes players age 16 to 18. The Connie Mack World Series consists of 10 or more teams from various regions around the United States, including from Puerto Rico. San Juan Plaza in Farmington is home to an annual strongman competition, which takes place the last Saturday of July. Farmington holds a riverfest once a year. Area rivers are celebrated with a festival of music, fine arts, food, entertainment, a 10K and 5K run and walk, riverside trail walks, and river raft rides. Pinon Hills Golf Course, designed by Ken Dye, in Farmington is one of the United States' Top Municipal Golf Courses. Owned and operated by the City of Farmington, Pinon Hills has been ranked in the Top Municipal Golf Courses by Golfweek Magazine for several years. Fishing, fly and reel, is a very popular activity in Farmington. Fishing is permitted on the San Juan River, Navajo Lake, Lake Farmington, Morgan Lake, the Animas River, Jackson Lake and Cutter Dam. ^ "American FactFinder". United States Census Bureau. Retrieved December 7, 2014. ^ Farmington, New Mexico, U.S. Census Bureau, accessed December 29, 2012. ^ a b "History". official site. Connie Mack World Series. Retrieved December 9, 2010. ^ "New Mexico State Baseball Champions" (PDF). NMAA. Retrieved February 24, 2012. ^ a b c d e f Smith, Claudia. "Farmington". New Mexico Office of the State Historian. Retrieved August 25, 2012. ^ a b c Hudnall, Ken; Hudnall, Sharon (2005). Spritis of the Border IV: The History and Mystery of New Mexico. El Paso: Omega Press. ^ "Farmington Branch". www.actionroad.net. Retrieved April 5, 2018. ^ Szasz, Ferenc M. (2006). Larger than Life: New Mexico in the Twentieth Century. Albuquerque, NM: University of New Mexico Press. p. 156. ^ "Halliburton spill results in acid cloud." - Associated Press. - (c/o Albuquerque Journal.) - June 7, 2006. ^ "Welcome to Farmington, New Mexico". Farmington Chamber of Commerce. Retrieved September 24, 2012. ^ "Average Weather for Farmington, NM – Temperature and Precipitation". Retrieved August 16, 2012. ^ "Farmington (city) QuickFacts". census.gov. Retrieved April 5, 2018. ^ a b "Schools in Farmington New Mexico". Farmington Chamber of Commerce. Archived from the original on March 13, 2008. Retrieved May 18, 2008. ^ San Juan College Fact Book 2007 (PDF). Farmington, NM: San Juan College Office of Institutional Research. Retrieved May 18, 2008. ^ "Best Municipal Courses 2011". Golfweek. Retrieved September 1, 2012. Wikimedia Commons has media related to Farmington, New Mexico. Wikivoyage has a travel guide for Farmington (New Mexico).